​with dr. kenneth p. stoller, m.d. Chris: Dr. Stoller, as you know, many medical doctors who treat those suffering from Chronic Lyme Disease run the risk of having their practice shut down. You obviously have no intent to hide your practice but could you shed some insight on this unfortunate reality as a whole? Dr. Stoller: This problem, which is very real, goes far beyond physicians who treat Chronic Lyme Disease. It is about all physicians who practice Integrative Medicine. It seems that there is an agenda at the Federation of State Medical Boards (the FSMB), which is an elite, highly influential, secretive private organization. The FSMB purports to represent the seventy state medical and osteopathic boards of the US and its territories. It is tremendously powerful: whatever it suggests in terms of medical care policies are often adopted by the state medical boards. A private trade association with no public funding, transparency, or accountability arguably has the power to interpret state medical law and grant or revoke medical licenses! Ever wonder why it’s so hard to find a doctor who will prescribe bioidentical hormones or administer chelation therapy? The FSMB has made it such a career risk for the doctor to use his own independent judgment. It seems that the FSMB was infiltrated in the late 1990s by the so-called “quackbuster” contingent—people openly hostile to complementary and alternative medicine. Actually, they make their living attacking alternative physicians, which means they often are behind the complaints and then get hired by the medical boards to testify against the physicians they complained about. Since then, the FSMB has challenged integrative medicine as being outside the “standard of care,” defining the term to suit its own purposes; in this, the organization mirrors and amplifies the American Medical Association’s antipathy toward integrative medicine. Because practicing outside the standard of care is grounds for a state medical board to revoke a doctor’s license, the attempt to exclude CAM therapies from the standard of care is a major threat to consumers’ access to integrative doctors. For years integrative doctors have been harassed and charged by their state medical boards for practicing outside this bogus standard of care when what they have really done is posed a competitive threat to conventional medicine, at a time when conventional medicine is doing a great deal of harm and really needs competition. If you think drug manufacturers might be pleased to contribute to such a campaign, you would be right. The University of Wisconsin, with funding from Purdue Pharma, the maker of OxyContin, developed a continuing education course for doctors based on the FSMB’s manual. This is the drug company that in 2007 paid $600 million in fines in settlement of a guilty plea for having misled doctors and patients when it claimed that the drug was less likely to be abused than traditional narcotics. Attacking integrative medicine is all about the money, and physicians who treat Chronic Lyme fall into this group. The US Centers for Disease Control and Prevention report that opioids were involved in 14,800 overdose deaths in 2008, more than cocaine and heroin combined. So much for “safe use.” How much money does the FSMB take in total from industry? How does it use it? Who really runs the FSMB? What exactly is its relationship with the American Medical Association? With the so-called Quackbusters? With state medical boards? Chris: As a doctor who treats chronically ill Lyme patients, you have a unique treatment protocol that utilizes a hyperbaric oxygen chamber (HBOT) in order to kill Lyme spirochetes. Would you explain how this therapy works and why an increased oxygen level in the blood is potent to Borrelia? Dr Stoller: While there has been limited research in this area, we know the organism that causes Lyme is a facilitative anaerobe, which is a fancy way of saying that it can tolerate oxygen up to a point but beyond that point it will die, so it is like a vampire who can be in daylight as long as it is indirect daylight - once in direct sunlight the vampire is a goner. It requires 160 mm Hg partial pressure of oxygen (pO2) to start causing the Borrelia organism to die. This is the amount of oxygen we breathe into our lungs at sea level, but by the time that oxygen gets into organs and bone marrow the partial pressure of oxygen is very low - in bone marrow it is in the low 50's. Treating patients at 2.8 atmospheres of 100 % oxygen will increase the amount of oxygen in human tissue by over 2000%. A Borrellia organism exposed to that level of oxygen will die. Chris: It's a given that oxygen is an essential element to sustain life. Are there any dangers or complications though that may arise in receiving oxygen at a level in which our bodies weren't designed to function on? Dr. Stoller: Even water has side effects if given in quantities that that the human body can not tolerate. The same is true for oxygen; however, controlling the treatment exposure, the dose of oxygen and the frequency of the treatment makes hyperbaric oxygen therapy (HBOT) one of the lowest risk medical procedures around. Dr. Stoller is the medical director for the hyperbaric medical center of New Mexico, the hyperbaric oxygen clinic at sacramento and the San francisco institute for hyperbaric medicine. Chris: For those patients whom an increased level of oxygen in the blood does nothing for, you built a 1000 watt Doug Coil which is incredibly impressive to say the least. Explain how the Doug Coil is utilized in treating those with chronic Lyme Disease. Dr. Stoller: Over the years, it is clear that there are a group of patients that can be on all the right antibiotics, enzymes, herbs and even receive HBOT, but for reasons that are not clear (most likely genetic) they still can not clear the Borrelia from their bodies. The infamous inventor, Royal Rife, came up with the theory that organisms have a "Mortal Oscillatory Rate" and if exposed to that electro-magnetic rate they would be devitalized. It is a process many Lyme patients have turned to in desperation. I have published papers in peer-reviewed journals going back 25 years exploring the electrical nature of the human body and how that electrical field changes in certain circumstances so it was a natural transition for me to explore Rife's theories. In my medical practice, I use standard of care for treating Lyme, and while it could be argued, by those that do not believe there is such a thing as chronic Lyme that there is no standard of care in treating chronic Lyme, I follow the practices of the vanguard of physicians who are more experienced than I in treating chronic Lyme patients. But returning to your question, I want to make it clear that no one is kept from receiving standard of care in the treatment of their Lyme because they opt to be exposed to a magnetic field. I make no claims for these treatments and I don't charge patients for using the device. I further want to point out that I do not consider this a benign device even beyond the issue of having a pacemaker or being pregnant. I am of the opinion that the technology of exposing the human body to a high intensity magnetic field has to be done by an experienced practitioneer sensitive to the patient's clinical response. One size does not fit all applies to this which applies to almost all therapies used to treat chronic Lyme. Chris: Do you also treat Lyme patients with conventional antibiotics alongside hyperbaric oxygen therapy and/or the Doug Coil? Dr. Stoller: The CDC and others will tell patients that if you have Lyme you should be treated with 3 weeks of antibiotics, and while that may be fine for an acute exposure, if you have had Lyme for 7 years there is no research documenting that 3 weeks of antibiotics are adequate anymore than treating someone with tuberculosis for three weeks would be adequate. It has never been clear to me why there has been no distinction made between someone who has had Lyme for two weeks and someone who has had it for two years - they simply cannot be treated the same, but that is exactly the prevailing insanity and one that has zero evidence to back it up and yet it is the offical position of the very governmental organization that should be ringing all five alarms about how devastating untreated or inadequately Lyme is. It is as if the agenda were to perform a nation wide Tuskegee experiment on the citizens of the USA. Chris: Have you had any success in putting chronically ill Lyme suffers into remission? If so, which therapy has been the most effective in doing so? Dr. Stoller: That is an interesting question the way you have phrased it because many Lyme patients believe remission is the best they can hope for, but that is not the case. I believe, and it has been my experience, that a cure is very much the clinical outcome for most Lyme patients if they are treated properly, but it is often as hard to be treated properly as it is to get diagnosed in the first place. If you are young and have a robust immune system sometimes three months of antibiotics, with enzymes to attack the biofilm, is all that is required for a cure (not just a remission). For others more aggressive measures need to be employed be they IV antibiotics or HBOT. Of course, having one or several co-infections always complicates matters, heavy metal toxicity, endocrine disruption, so forth and so on, but hope should not be lost. Chris: You mention you find the amount of ignorance that plagues doctors who treat people with chronic Lyme Disease to be disturbing. Many people reading this couldn't agree more. What type of doctors are you referring to (e.g., LLMD, General Family Practitioner, LLND)? Dr. Stoller: Let me put it this way, their are too few physicians out there willing to treat chronic Lyme let alone acknowledge that it exists. Part of the problem is anytime you have a medical problem that doesn't have a simple answer, or where the therapy has to be individualized for the vast majority of patients then most physicians will not be interested in treating it at all, and certainly not those physicians who are employees of an institutionalized medical enterprise. That leaves a rather small population of private independent physicians, who are more likely to think outside of the box and go out to far left field or far right field if they need to go out there (to use a baseball analogy), and it goes without saying that you want that physician to be grounded at home plate. What you don't want is a physician who is standing in left field because that is where he or she feels comfortable. Yes,they will see what is out there in left field with them but will have just as hard a time returning to home plate as a physician locked into the dogma of the HMO that employees them, for example. Dr. Kenneth P. Stoller, M.D. Chris: The concept of a one pill cure for Lyme Disease for all understandably remains passionate and adamant in the minds of those who are reeling from this plague. Can you explain if such a concept could ever become a reality in the current understanding we humans have of the human body? Dr. Stoller: This is the difference between Lyme and Syphilis... why can Syphilis be cured with a single blast of penicillin and Lyme disease can't. If the lack of knowledge about Lyme in the medical community is so abysmal, what chance is there that the public will understand the issues involved in treating this infection? There is no chance at the moment. The public still has too much trust in certain institutions that do not deserve that trust. Chris: What type of track record or indications should a person who seeks treatment for their chronic Lyme Disease look for in a doctor? How can one be certain the doctor they plan to see will provide them with the appropriate care and treatment needed to put their Lyme Disease in remission? Dr. Stoller: A difficult question. First, physician don't post their track records and if they do that is a red flag but I am old school. I don't put myself out there as a Lyme physician, or being Lyme literate, etc. I just know a little more about Lyme than your average physician because I have been treating it in a very conscious way for a decade thanks to my interest in hyperbaric medicine. Maybe even more important is I suspect Lyme in patients if their history is suspicious. I go out of my way to look for it. I am sure there are others out there like me but even I wouldn't be sure how to find them. Lyme patients should not feel singled out. Patients with Crohn's disease, Ulcerative Colitis or just IBD have no idea there is a good chance they have an infection with a para-tuberculosis like organism and should be on triple antimicrobial therapy (sound familiar?). So, here is another group that is not being correctly diagnosed or treated and again the problem is an infectious agent. Modern medicine is lacking in so many ways despite great advancements in certain technologies, but fancy scanners and robotic surgeons are no substitute for reading the medical literature (medical literature that is not handed to you from a pharma rep, medical literature that is not ghost written by pharma themselves). 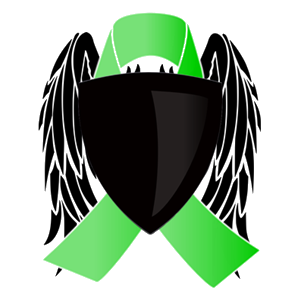 Chris: Through the eyes of a quintessential human being (i.e., without the influence of medicine of any kind), what words of consolation or advice could you offer to those currently struggling with chronic Lyme Disease who feel they've lost their way? Dr. Stoller: There is a great deal of needless suffering out in the world even taking into account that our bodies are far more vulnerable and fragile than we would like to believe. The level of stupidity that passes as standard of care in modern medicine could make even the most optimistic lose hope, and while the truth is out there (even a physician or three that knows how to help), many patients have exhausted their savings getting to that point, and then don't have the funds to be treated. Being appropriately treated for chronic Lyme means unplugging from the matrix and not everyone can do that and not everyone wants to be unplugged. I find I need as much consolation and advice as anyone with Lyme... I can't treat patients they way they should be treated because their HMO or PPO won't pay for this or that. Even if I have easy answers I can't implement them for many patients. We live in a world of double speak where the term "medical necessity" really is a phrase used to deny patients therapies or drugs that are necessary to treat them appropriately. As a society we have a long way to go before we can consider ourselves conscious and conscientious. We put poisons in our drinking water and our soft drinks, we radiate our food, and still tolerate Big Tobacco and their insanity and allow ourselves to be experimented on without batting an eyebrow. We have put our trust in people who do not have our best interests at heart and are only concerned about money, power and twisted agendas. So, being human, being a sick human ,is a very high risk situation in the world we have created for ourselves. I want an easy answer and consolation as much as then next person.... not sure that is coming in the near future. ​to helping those with Chronic Lyme Disease. This interview was a real and honest pleasure!